Up until now, Jes Hudak was perhaps best known for her formidable songwriting and live performances on Bravo’s reality show, Platinum Hit, where she placed second out of thousands of contestants from all over the country. But now, with Bravo in her rear view mirror, Jes has found a brand new audience on the other side of the world. After being featured heavily in the promotional campaign for “The Voice,” Australia, Jes’s performance of the song “Different Worlds” made its way up the Australian pop charts, achieving gold status. The result has been a whirlwind of attention from fans down under, propelling Jes’s version of “Different Worlds” to the Number 6 spot on the Australian iTunes chart, and it has been featured in commercials for Home & Away and Tricky Business, both prime time TV shows in Australia. The groundswell of fans and attention from the music industry has led to the release of Jes Hudak’s deluxe full-length album, “Different Worlds,” available exclusively in Australia. Like most careers in music, Jes’s has been one marked by unpredictable twists and turns, but from a very young age the upstate New York native knew exactly what she wanted to do with her life. She started playing piano at the age of 8. By 13 she was performing songs she had written at Caffe Lena’s Open Mic Night in Saratoga Springs, NY. After being discovered by an artist-in-residence at Skidmore College who had a recording studio, she recorded her first collection of songs and self-released her first album. She was in the ninth grade. “My Dad would drive me out to the studio after school and then I’d have to be back in time to get my homework done,” she says. Since then, Jes has recorded, produced and self-released two albums, performed on the same stage as such prominent artists such as Maroon 5, Gavin DeGraw, Howie Day, Tonic and Five for Fighting, and toured with Enrique Iglesias as the sole female backup singer for the Central American leg of his Insomniac 2008 tour. She’s sung the National Anthem at Giants Stadium and has performed in a national Pantene commercial. Her last official US release, National Holiday, comprised of five self-penned tracks, showcases both her songwriting prowess and her considerable performance chops. 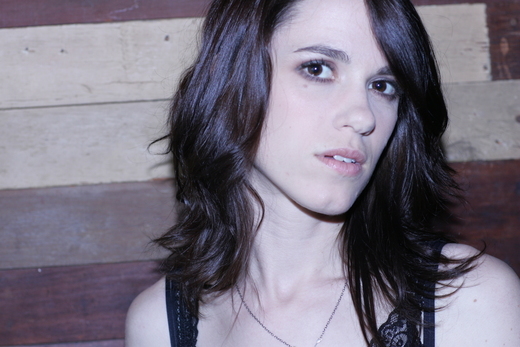 The EP’s title track, National Holiday, won the Billboard World Song Contest in Pop, and her music video for “No One In The World,” another track on the EP, was selected as AOL’s Featured Music Video. Bravo's “Platinum Hit” showcased emerging singer-songwriters on their quest to become the next big hitmaker. The series followed 12 musicians as they battled through innovative songwriting challenges that tested their creativity, patience and drive. Jes loves using her songwriting and performance skills to collaborate, having released tracks with rappers Freddie Gibbs, Wax, and Gotham Green. She also fronts the electronica/soul duo “Bang, You're Dead” with DJ/producer Quickie Mart. This fall, Jes will be releasing a self-produced full-length solo album, as well as a full-length album as Bang, You’re Dead. She is also producing a hip-hop EP with New Orleans rapper/artist Know One. And with regular videos posted on youtube and daily twitter buzz, it’s easy to keep up with all of Jes’s latest happenings. Enjoy the music!